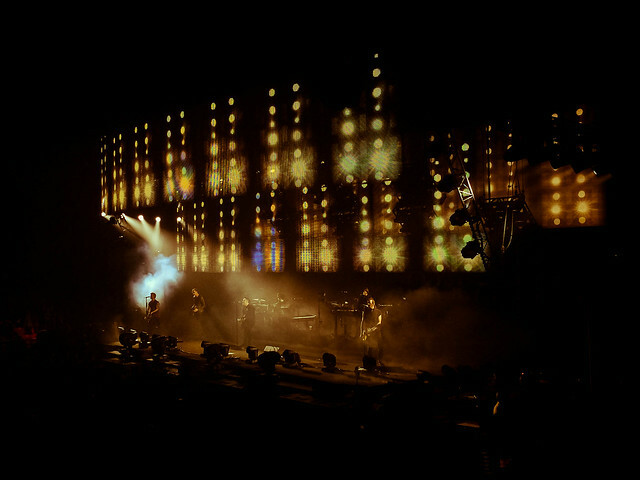 When it was first announced in Febuary that Nine Inch Nails would be retuning to El Paso, I was stoked. I hadn’t seen them since the Further Down the Spiral tour WAY BACK WHEN!!! in 94. They were supported then by a fledgling Marilyn Manson and the crazy Jim Rose Circus at El Paso’s infamous Barn County Coliseum. Back then I was much more tolerable to crowds, idiots and general mayhem, now not so much. 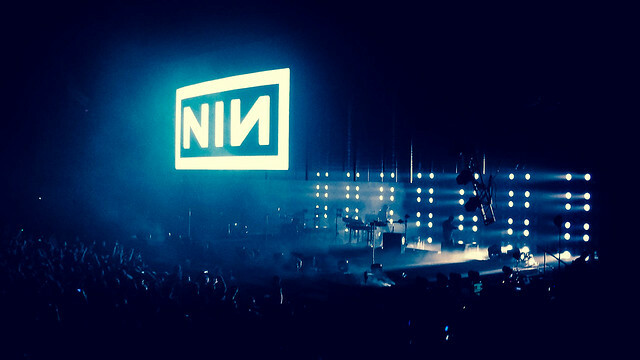 Luckily, NIИ decided to upgrade their return to El Chuco with a night at the Don Haskins. Assigned seats and crowd control doesn’t completely weed out the fools, but it should at least make it tolerable. Fast forward several months and the event was upon us. A weeknight concert is already a cluster and adding to the mix, Virg was bit under the weather. What seemed like a cool idea in February was now a juggling act of getting dinner, home work and the nightly instructions for the boys to my Mom so she would hopefully have a chaos free night of watching them. 1994 John and Virg would be laughing hysterically at our 2013 versions. With everything set, we headed down to UTEP. Parking was quick and easy in the new garage off of Cincinnati Street and we picked up our tickets without issue. Finding our friends and seats was equally uneventful and we settled in for the opening act, the unknown to us Explosions in the Sky. 😐 Hummm… cool music but something was missing. Oh yeah, singing. They apparently are an instrumental act. There were hints of Trail of the Dead and Barroness and the songs would build up and break in large crashes of momentum and sound, though I felt kind of lost without the some sort of vocal leads. I could listen to them as background task music or randomized amongst other similar bands but a full 45 minutes got a little repetitive. After a quick break it was time for Reznor to take the stage. NIИ historically has had a impressively technical show to match their “industrial” origins and this one was no different. The lighting was a dizzy array matching the high BPM tempo of the music. Curtains of LEDS slipped up and down changing the atmospherics and at times added a weird multi-layer effect. It had kind of a ethereal feel, allowing for some interesting visual effects. There was no need for fire and pyrotechnics. This was mainlined technology, distilled for a generation that grew up with Atari and has expanded to include those that capture it with Apples.